Moving is not just about finding a new place and relocating there. It is about changing your environment, about changing the place you have been living in for a very long time and about going through the hassle of packing, unpacking, solving issues with paperwork and so on. Moving can indeed be a very stressful experience and it is no wonder that many people would rather avoid it. Finding a quality removals company in Enfield Wash, EN3 lies at the very foundation of your “successful” moving. However, keep in mind that not all of the removals companies in EN3 area are the same and that some may be more suitable for you while others may not. Here at Moving Service, we love pleasing our customers and clients and we want to provide each and every one of them with quality removals services so that they can lower the amount of stress they have to face with such a big moment in their lives. We can help with the van, with the lorry, with man and van hire, movers (you name it and we will bring as many as you need us to), with the packing and with the unpacking, with cleaning up the packaging materials and so on. Contact us on 020 8746 4402 and we’ll answer your questions! If you are moving to here, you should be quite excited. 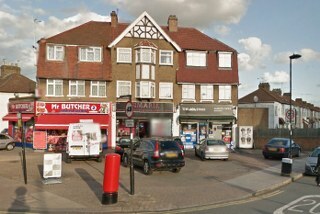 This area can be found in North London (or, to be more precise, in the London Borough of Enfield) and it is one of the most mysterious ones in Greater London. The area itself is beautiful but for anyone who has ever read a detective novel, it will definitely stir some interest. The story goes that Elizabeth Canning, a maidservant was kidnapped and held for more than one month to be threatened with prostitution. Back when this happened (the 18th century), the case quickly became extremely famous for the Victorian society and it was very frequently mentioned in press. These days though, it is a quiet area where everybody can live in peace. The beautiful Albany Park (which is supposed to have been built in honour of Prince Leopold, the Duke of Albany, Queen Victoria’s first son) will enchant your eyes and relax your soul. This place will definitely make for an excellent new home for you and your family. 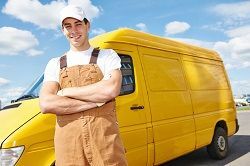 How Can You Find a Quality Enfield Wash Moving Company? If you want to start everything on the right foot when moving to Enfield Wash, EN3 make sure that you call us on 020 8746 4402. As a company with long years of experience in this field and as someone who can really provide you with well-trained movers in Enfield Wash and with quality equipment to help everything go smoothly, we are among the best ones out there. Even more than that, we will provide you with the enthusiasm of a team that really knows how to make clients feel great about their choice. We will bring our movers, our vehicles, our knowledge and our experience to help you make sure every single item you move gets to its destination – and not just anyhow, but in great state. If you want to avoid accidents, if you want to avoid getting hurt (or having one of your helping friends hurt), if you want to avoid breaking some of your objects, call Moving Service. We know how to handle things, we know how to pack and unpack them and we know how to lower the chances any of your items gets scratched throughout the removals process. Call us and we will be there on the big moving day to help you get through this as easily as possible.